Play two exciting and fun solitaire games with the unique double pack. Includes Atlantic Quest and Zombie Solitaire games! A strong hand of cards and a mind as sharp as a swordfish’s, well, sword are all you need for Sharky’s and Clowny’s latest romp! And if a single adventure weren’t exciting enough, they don’t just have to take care of case of maritime sabotage, but also have to shed some light on some blatant egg thievery. Join the two jolly friends on their quest to solve more than 70 exciting maritime comic-style solitaire levels and help them fight a few sinister level bosses while you’re at it. 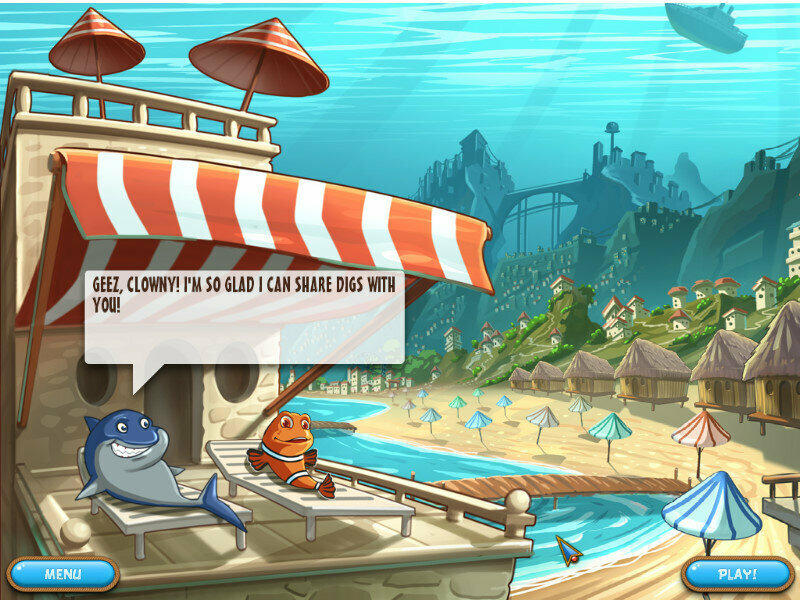 Juicy rewards await you in the deep sea casino, and you can use them to buy 10 mighty power-up cards to help Sharky and Clowny in their card battle against the forces of evil. It’s been two weeks since an infected tofu burger transformed some poor soul from a gentle vegetarian into a brain-devouring zombie. One thing led to another and now the slobbering undead have taken over the city. There’s only thing to do – run for your life! Before your can get your sweet behind to salvation on a zombie-free island, you’ll need to puzzle your way though exciting rounds of solitaire and fun minigames. But watch out! The hungry zombie horde is hot on your heels! 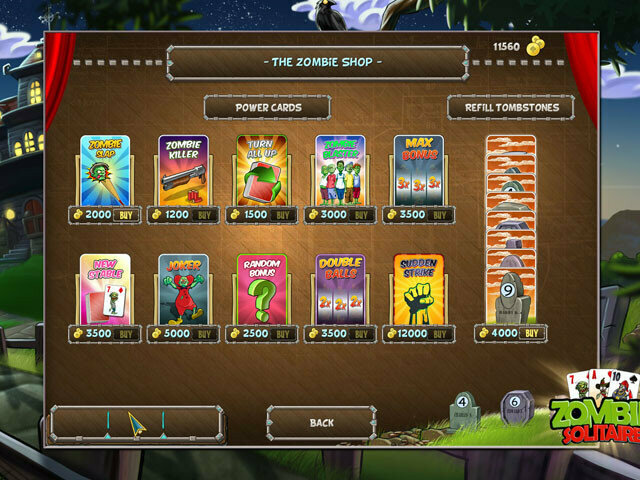 Biting humor and fun card-game action await you in Zombie Solitaire. You’ll have to use your brain if you want to keep it! A whole lotta zombies and fish! • Hard Drive: 172 Mb. 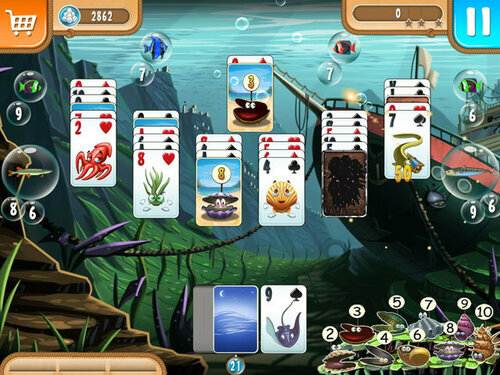 Fish vs Zombies Solitaire Double Pack — сборник из 2 прекрасных пасьянсов от студии Rokapublish. 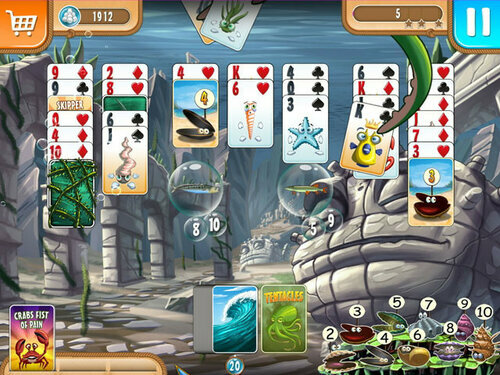 В пак вошли следующие игры: Atlantic Quest и Zombie Solitaire. Произошла трагедия! Танкер опрокинулся, и тонны нефти просочились в воду! Помоги 4 отважным друзьям спасти всех жителей океана. Очистите воду и излечите всю больную рыбу в 12 прекрасных подводных локациях. Наслаждайтесь 120 уровнями и 3 различными режимами игры! Также Вас ждут экстра бонусы. Веселый пасьянс, в котором вы будете отбиваться от зомби. Каждый расклад – это толпа зомби, которая мечтает вами пообедать! Ваша задача – разложить все до последней карты, чтобы продвинуться вперед по маршруту. Исходная точка – домик в пригороде. Сейчас тут небезопасно: все соседи, в прошлом милые люди, превратились в ходячих мертвецов и взяли вас в осаду. Целая орда зомби и тонны рыбы!